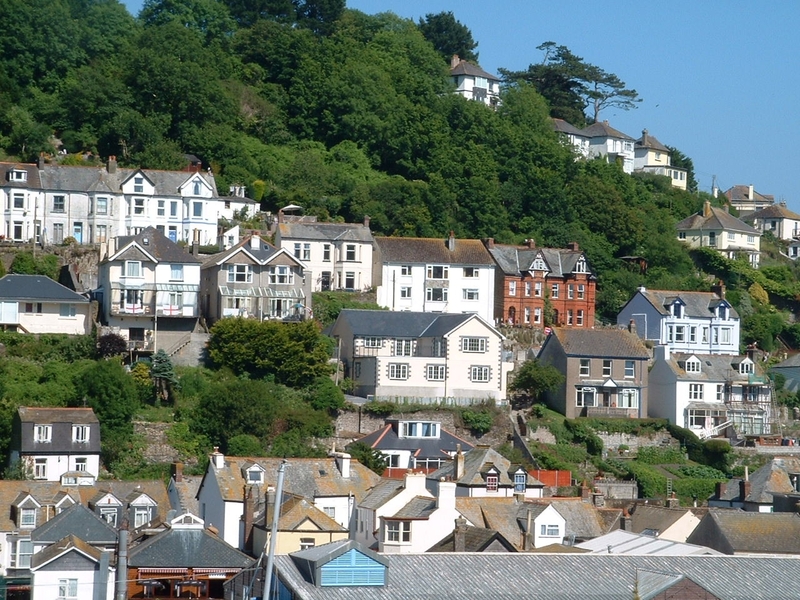 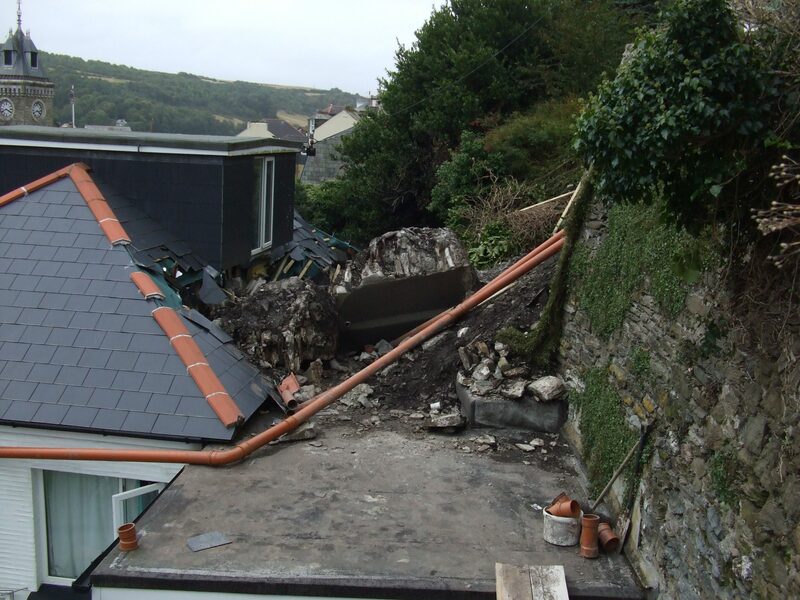 The collapse of the wall partially demolished an existing bungalow on a steeply terraced site in the heart of Looe with heavily restricted access. 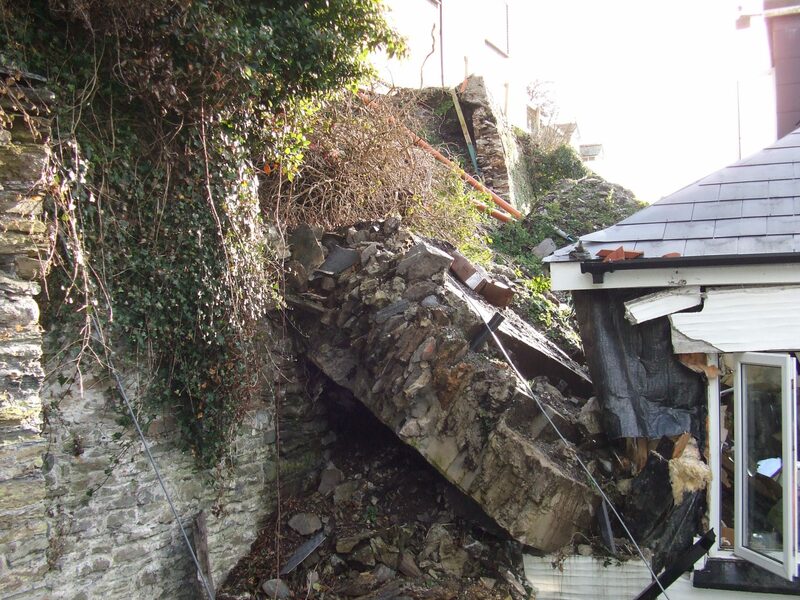 Initial enabling works were commissioned to clear the debris from the collapse and demolish the damaged bungalow before a scheme to rebuild the 7m high wall and provide a replacement dwelling could be determined. 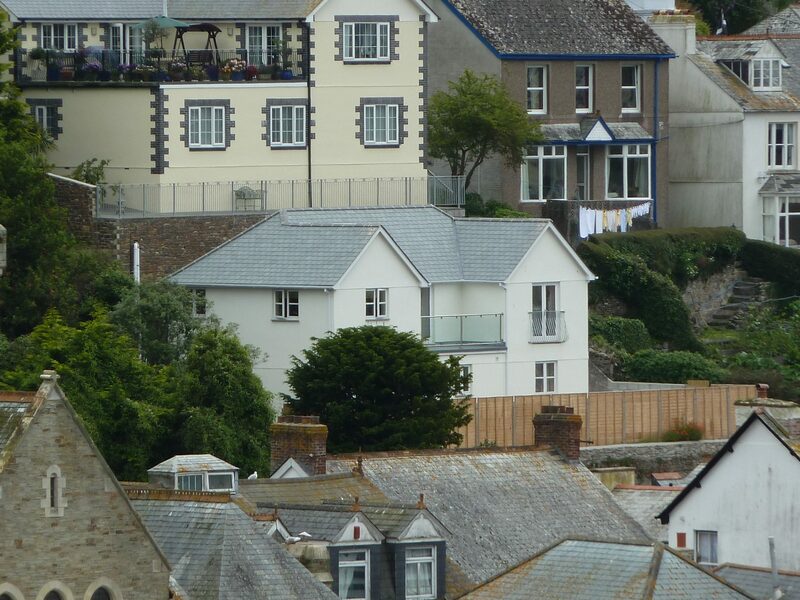 Following removal of debris the site was made stable and the wall rebuilt. 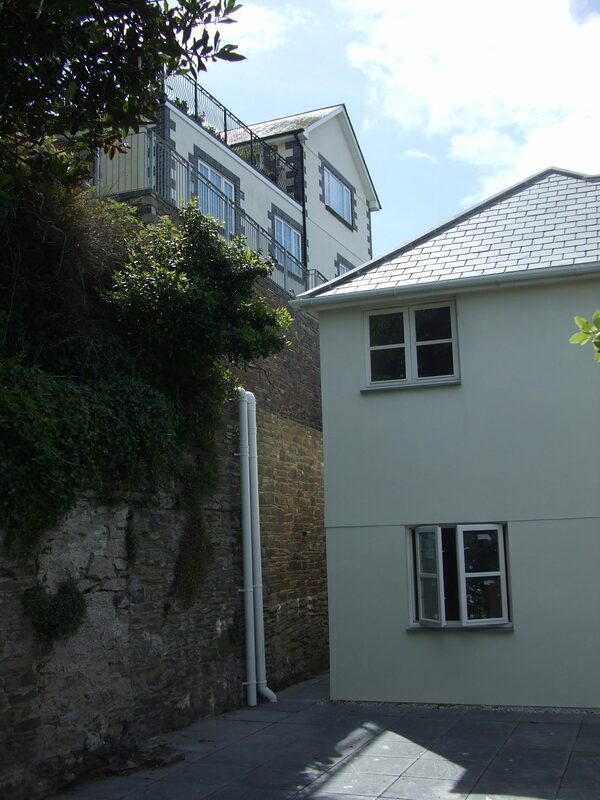 During this time, a planning application was put in place for a replacement dwelling and following completion of the retaining wall and obtaining planning permission for the building, James Lockyer Associates completed the design for building regulations including full structural details to erect a new home.